It was Hector’s involvement in lobbying for the conservation of northern Yucatan’s Celestún Estuary as a breeding and feeding habitat for the American flamingo, that inspired him to start using the word “ecotourism”. He was convinced that the increasing number of tourists to the area could help boost the local rural economy, preserve the ecology of the area and also create new jobs for the local people. This was the phenomenon known as ‘ecotourism’. Celestún was declared a wildlife refuge in 1979 and a biosphere reserve in the 1980’s and is really the cradle of ecotourism in Mexico. Another of Mexico’s important protected areas is the Biosphere Reserve of Sian Ka’an, declared a UNESCO World Heritage Site in 1987 for its incomparable natural beauty and rich biodiversity. 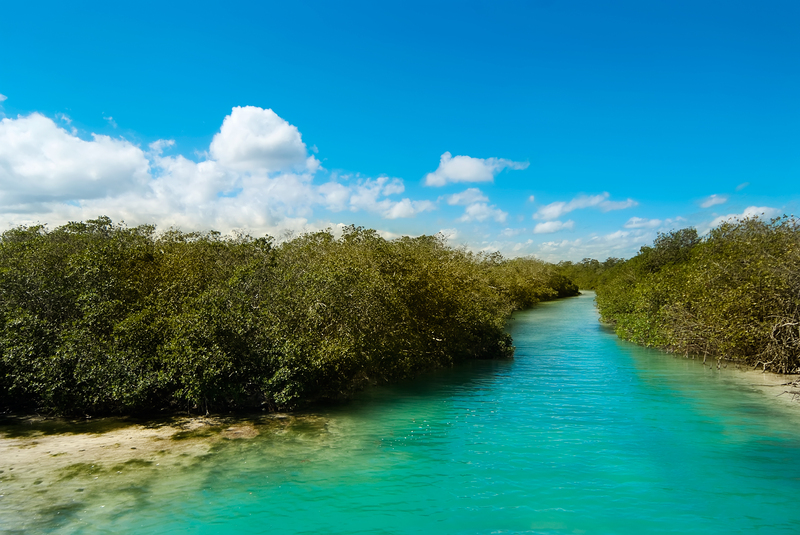 Located on the east coast of the Yucatan Peninsula, the reserve contains tropical lowland forests that are home to ancient Mayan sites, mangroves, marshes and the world’s second largest coastal barrier reef. This range of ecosystems provides habitat for abundant wildlife including marine turtles, manatees, howler and spider monkeys, jaguars, pumas, ocelots and tapirs. The rare Jabiru stork features amongst its vast range of bird species. The Sian Ka’an Biosphere Reserve is an important destination for ecotourism in Mexico and for local communities who are benefiting from sustainable livelihood development projects. Unfortunately although tourism plays a crucial role in the economy of Mexico, there can be resulting adverse effects on the environment and ecosystems caused by the influx of tourists. There are now grave concerns for the impact of tourism on the preservation of El Castillo (Pyramid of Kukulcan) at Chichen Itza after the site was named as one of the New Seven Wonders of the World in 2007. This resulted in an increase in levels of tourism by over 75%. This is just one of Mexico’s 300,000 archaeological sites, of which over 170 are open to the public. But let’s not end on a negative note. 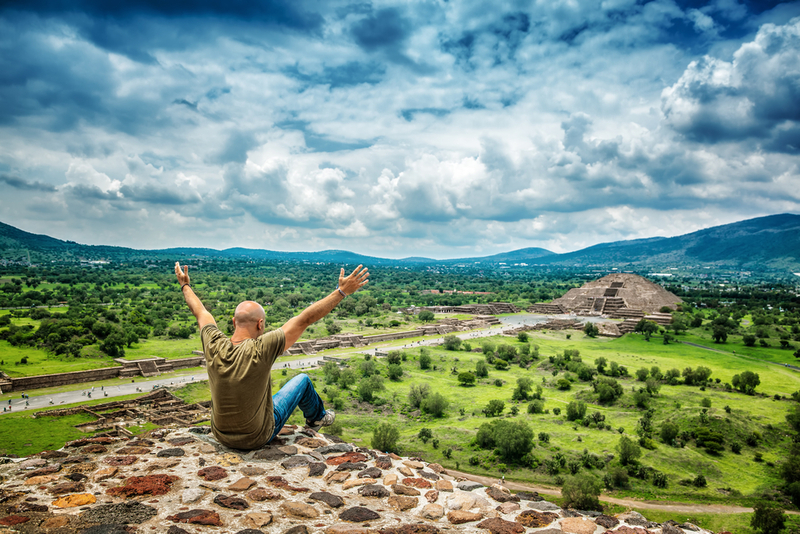 Mexico is culturally diverse – in fact it is one of the most culturally diverse countries in the world, boasting over 60 indigenous groups, most with their own language. These indigenous groups include the Maya, Zapotec, Tzotzil, Mixtec and Nahuatl. The Huichol Indians live in the Sierra Madre Occidental Mountains and are renowned for their beautifully intricate yarn paintings and bead work. Various projects have assisted the Huichol in their attempts not only to save their sacred land but also to maintain their cultural and artistic heritage and their native traditions and language, whilst co-existing with the outside world. By incorporating a visit to an indigenous community in your Mexico travels, you will gain a better understanding of their way of life and how their continued traditional existence may be threatened. It will give you the opportunity to interact and support the local people in their natural environment, through responsible sustainable tourism. You may even come away with a beautiful handcrafted souvenir! Whether it is the history, culture, wildlife or the beaches of Mexico, or a combination of all that you want to discover, Chimu Adventures has a range of Mexico and Central America tours for you to choose from. Or let us help you create your own tailor made journey through this fascinating region.